Located on the southern island of New Zealand, Queenstown is known as the adventure capital of the world. This gorgeous place was carved out of the landscape by glaciers and rivers. It affords today's adrenaline junkie with everything from bungee jumping and jet boating to mountain biking and paragliding. 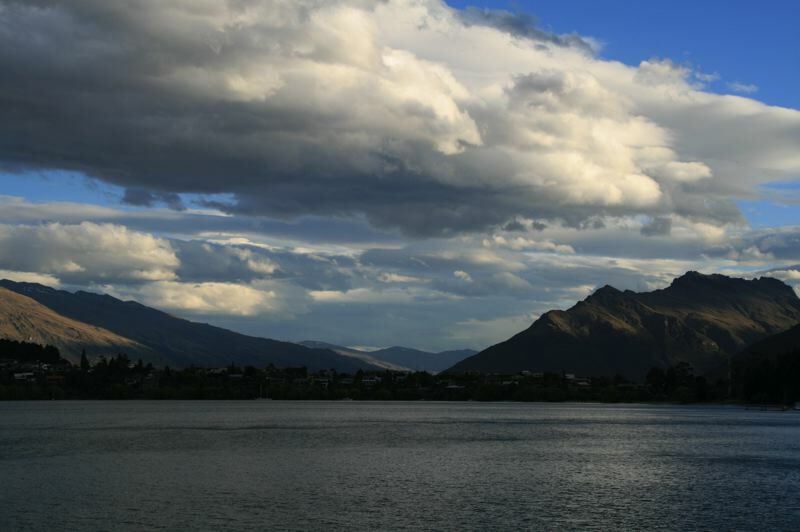 It is flanked by Lake Wakatipu, which backs up to an epic mountain range dubbed "The Remarkables." We stayed in Queenstown for five days and found it to be not nearly enough time, as there is more to this town than simply dare-devil activities. The downtown area is ripe with restaurants from all over the world. American culture is a very small portion of the multinational feel that is Queenstown. Thirsty? 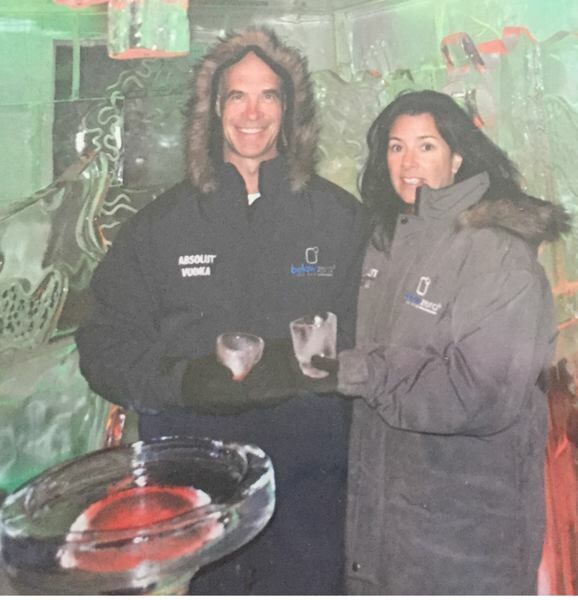 How about a nice cold vodka shot in the famous "Below Zero Ice Bar," where virtually everything is made of ice! Visitors don heavy coats to gain entrance to this unique place where the bar itself, the seating and even the glasses, are all made out of ice. Feel like a burger after your big adventure? You must visit Fergburger — it's a right of passage. This tiny burger joint almost always has a line out the door for its monstrous and delicious burgers. 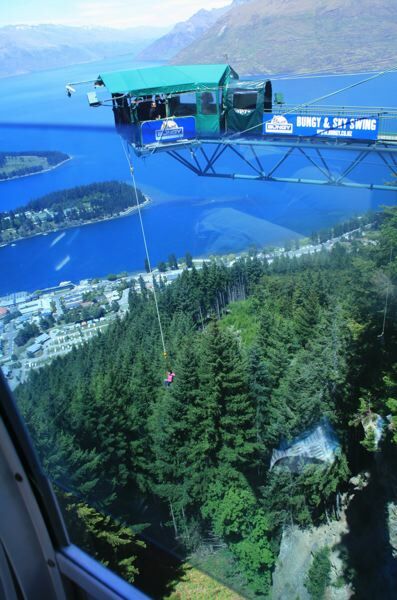 One of the most hair-raising experiences I've ever had was on the Skyline tram in Queenstown. I was already nervous about heights and this skyline tour was known to be the steepest in the southern hemisphere. But once I got into the two-person gondola to be transported to the top of the mountain to get the best view of the entire city, surrounding mountains and Lake Wakatipu, things went south....literally. Shortly after the gondola began its ascent, I heard this blood-curdling scream. Out of the left corner of my eye, I see a body....YES....a body falling right past us at Mach 1 toward the ground. My heart promptly leapt into my throat and I froze, knowing for sure that somehow, someone fell out of one of the tiny gondolas to their death. What I failed to see against the backdrop of tall trees was the rope tethering the seemingly free-falling torpedo to the bungee platform about 300 feet above our location. Confirmation came as the harnessed human bungeed back past our point on the mountain. Needless to say, I was a wreck for a while. Additional adrenaline came in the form of jet boating up the Dart River at ridiculous speeds of 60-plus mph in little over eight inches of water in places. We also rode horses through the nearby Glenorchy and Paradise Valley with High Country Horses Co. This valley has been featured in the Lord of the Rings movies as the Valley of Isengard. Let's just say this isn't your normal half-dead stable horse experience! If you've had your fill of thrills, opt for a leisurely walk just outside the downtown area through the 36-plus acre Queenstown Gardens. It is filled with some of the tallest trees I've seen outside of the Redwoods and all manner of rose gardens, landscaped vistas and picnic areas. No matter what speed you choose to explore this town, it will delight you at every turn. When we return, we will surely plan for at least a week to delve further into the activities that truly make Queenstown the Adventure Capital of the World! Lila Reed has traveled to 30 U.S. states and nine countries. She also is a business and Resort secret shopper and has 30 years of experience as a business owner. 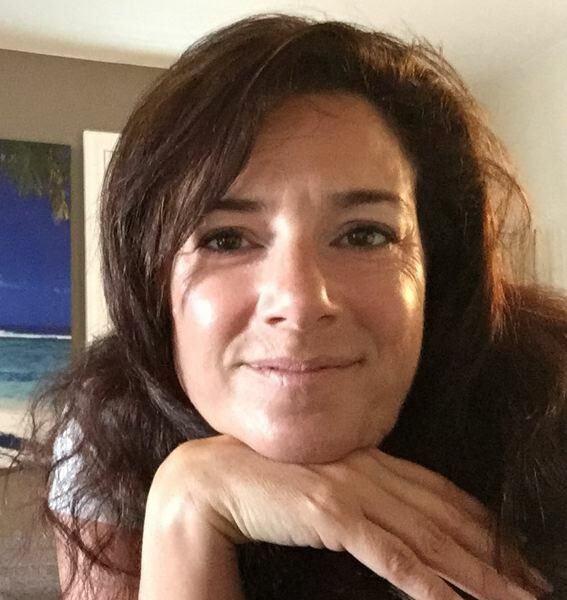 Follow her at www.magicmomenttravel.com.